Did you know that highly engaged employees are 87% less likely to leave a company than their less-engaged coworkers? Now, consider that companies with engaged employees earn about 2.5 times more income than those with lower employee engagement. Despite this, about 70% of American employees are not engaged at work. What does this mean? You could be missing out on potential revenue. Not to mention spending valuable resources on excessive employee turnover. But how do you engage your employees? The answer is simple: Team building! We discussed the importance of developing team building as a leadership quality in a previous post. 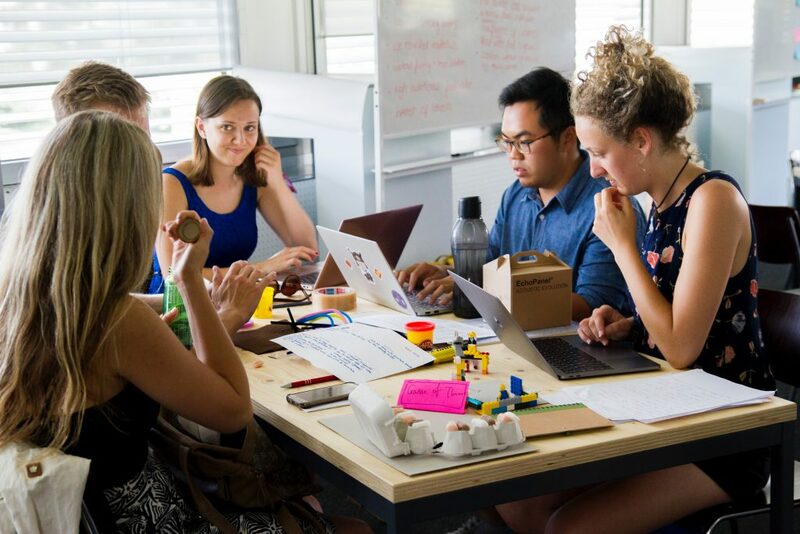 Though team building should be a daily practice in the workplace, companies can also use specific team building activities to help set a foundation for teamwork and maintain company engagement. These activities are highly popular today and you’ll find no shortage of ideas with a simple internet search. But instead of planning your own team building day or shelling out the money to bring activity leaders on site, give Strayboots a try. We provide scavenger hunts and other fun team building activities for companies of various sizes. The difference is that our services come to you through a beautiful little smartphone app. No expensive presenters, no exhaustive planning, but all of the valuable engagement. You can hire a presenter to come into your office and lead a day of team building for your staff, but this will likely be expensive. Especially if you’re just a small company. Strayboots is able to cut down on team building costs because we guide your activities remotely. 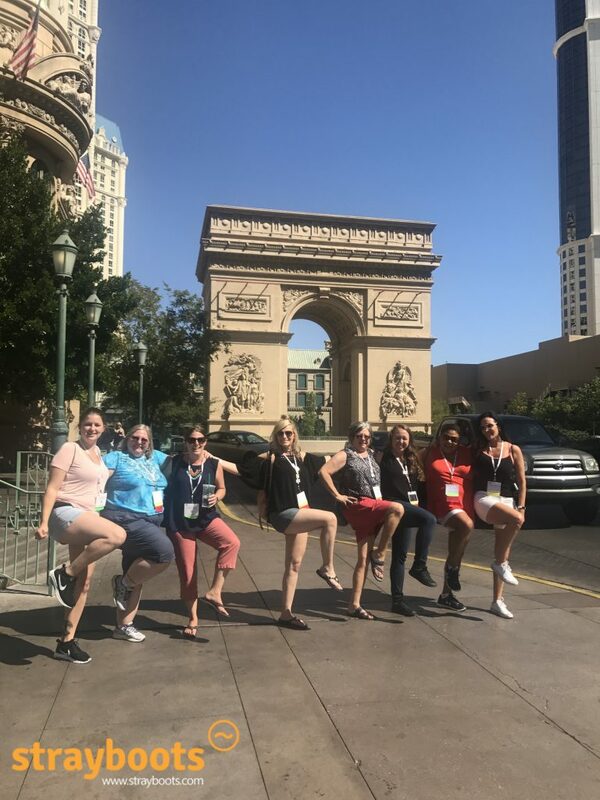 Whether your team signs up for an interactive city tour, a team building scavenger hunt, a company relay, or trivia games, your activities are guided by our smartphone app. Additionally, if you need assistance during the event, you can contact your dedicated support agent at any time. Employers will be able to customize the event beforehand and monitor it in real-time from our handy dashboard. Check out our pricing page to see what we can do for you. One mistake that employers can make is planning team building activities that don’t actually involve team building at all. For example, they may bring their employees to a local attraction like a zoo or aquarium. Or maybe they’ll hire a guest speaker to come in and give presentations. Do these activities encourage teamwork and collaboration? Not really. Team building should be engaging! Instead of letting your employees wander aimlessly around a location or sit for hours through a presentation, make the experience interactive. With Strayboots, you can customize your own scavenger hunts for various locations and with specific themes. These challenges force team members to work together and develop their communication skills. They must use effective communication, work on their problem-solving skills, and think critically. Teams solve riddles, take silly photos with statues or other landmarks, and act out scenarios to earn points. Our scavenger hunts also allow participants to learn more about their location at each stop. You can even customize a scavenger hunt to drill home the values of your company if you want to increase employee engagement with your brand. Many corporate leaders use guided workshops to train their employees. This may involve bringing in a facilitator to discuss team development with employees and lead activities. Some of these workshops focus on the personality types of team members as the foundation for creating an effective team. This often involves coaxing individuals to talk about themselves on a level they aren’t comfortable with. I don’t know about you, but speaking about my personal weaknesses to a room full of coworkers is not something I’d get excited about. These activities can be conducive to team building in some close-knit groups. But our advice is to stay away from heavy topics and avoid pressuring people to talk about themselves. Instead, Strayboots’ team building activities are fun and light-hearted. Our scavenger hunts allow employees to learn about each other by working together to solve unique problems that they’ve never experienced before. Rather than pushing people to communicate their deepest, darkest secrets, Strayboots’ scavenger hunts encourage effective communication with the goal of winning a competitive game. Sometimes organized sports are a great way to bring a working team together. Such as a corporate baseball game against a rival company. Similarly, companies may take their team members to ropes courses or rock climbing gyms. But for this to be fun for all participants, you have to be very aware of the fitness level of your employees. Don’t plan events that are too physically demanding for your staff. If some employees lack the appropriate fitness level then they won’t be able to participate. They may feel left out or embarrassed at their inability to get involved. You risk alienating people who can’t match the skill level of others in the game. This is not conducive to effective team building and may accomplish just the opposite of developing engagement in employees. Even when everyone in your group is fit and able to participate, sports may still not be the best idea. They sound like a lot of fun in theory, but organized sports tend to bring out aggressive competition. Instead, your team building event needs to be inclusive to everyone, and give each participant a chance to feel fulfilled at the end of the day. All of your employees should leave the event with stronger relationships and renewed motivation to work together. Strayboots’ events accomplish just that. Our scavenger hunts pit teams against each other in a friendly way. Teams compete to finish the challenges first and employers can even offer prizes for the winners like gift cards or paid lunches. Though competitive, these games aren’t physically exerting. Compared to sporting events where winning comes from running the fastest or having the most strength, succeeding at a scavenger hunt relies on the team’s ability to work together. Still, participants get some light exercise as they walk around the city. Avoid large expenses, heavy planning, and disappointing days when you use Strayboots for your team building event. Our activities include everyone and encourage communication and collaboration from each member. Participants walk away from our events with a feeling of accomplishment. Read what others have said about our events and contact us to see how we can help increase employee engagement at your company!